I was putting out a weekend planner every Thursday. This weekends Planner is rolled into the Earth Day Wrap up . A day of hands-on, inquiry-based workshops, demonstrations and activities in the geosciences. Explore and learn various aspects of dinosaur life, including the wide range of sizes and shapes of these "terrible lizards" who roamed the Earth 65 million years ago. Ruby, a seven-year-old rabbit, loves her Grandma very much and wants to do something special for her. She gets the brilliant idea to put on a show, with music and costumes and a castle and everything! She'll need some help, though, so she tries to enlist her little brother Max. who turns out to be no help at all, so Ruby recruits her Bunny Scout friends for assistance. But can she finish Grandma's play in time? 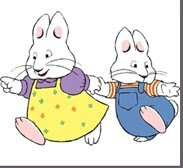 Find out in this delightful musical based on the top-rated Nickelodeon television show inspired by Rosemary Wells' bunny siblings, Max and Ruby! Arthur - LIVE! May 9-10, 2009 Uniondale, NY - Nassau Coliseum [More Info] Based on Marc Brown’s books and Emmy-Award winning PBS series this all new ARTHUR LIVE! comes to life on the stage! Enjoy the family fun, as everyone’s favorite aardvark and his friends all hit the stage in this delightful musical adventure. The show features the lovable, intrepid Arthur, his feisty sister DW, his good buddies Buster and Brain, his nemesis Francine – and introduces the warm, wise and wacky Tooth Fairy. An innovative, page-turning pop-up storybook set and special-effects move the story through Elwood City, Arthur’s House, Mr. Ratburn’s Classroom, the Dentist Office and the fascinating Dinosaur Museum. During Arthur’s adventures he discovers and shares the importance of teamwork, learning, and the joys of just being a kid. Featuring a dozen original songs - including ”Good and Ready,” “The Loose Tooth Wiggle” and "T-Rex Rocks" this interactive show will keep the whole family thoroughly engaged. Kids join Rick Hubbard, "The King of Kazoo," onstage to perform. Along with his computerized music tracks, Rick plays guitar, banjo, steel drum, slide whistle and best of all, a kazoo. For the grand finale of the show, everyone in the audience receives a free kazoo. The newly formed kazoo band performs a marching, kazooing, final song! This charming program introduces young children to the symphony orchestra through music inspired by the natural world. In Prokofiev’s perennial favorite, Peter & The Wolf, individual instruments get to shine as they imitate Bird, Duck, Cat, Wolf, and the other characters in the story. The concert includes a demonstration of the instruments and their families, plus shorter works by Beethoven, Debussy, Vivaldi, and Johann Strauss that evoke birds, animals, the seasons, and the weather. The Laurie Berkner Band. This very poplular children's band, featured on Noggin TV, will be performing as part of the 7th Annual Todd Ouida Children's Foundation Fund-raising Event. Check out our website at http://www.mybuddytodd.org/ for more information. 4) prepare for human exploration of Mars. The Phoenix landing which will be viewed live on NASA TV during the lecture will strive to meet all the goals listed above. Join us as we watch in suspense to see if our lander will arrive safely on Mars and ring in another victory for the human spirit of exploration. Pre-registration required. Attendance limited to 50 participants. Check-in at the Meadowlands Environment Center, program to be held in the NJMC Center for Environmental and Scientific Education. Come take a trip down the yellow brick road with Dorothy, the Scarecrow, The Tinman, The Cowardly Lion, Glinda the Good Witch and a not scary at all, silly bad witch and of course the Wizard of Oz in a truly wonderful musical for children. "The Wizard of Oz" plays selected weekdays May 14th thru June 6th at 10:00 am and Saturdays; May 31st and June 7th at 11:00 am.